Facing difficulty in finding the local transit (public transport like city buses) information when you came/living in metro cities like Hyderabad, Bangalore, Chennai.... ? If you know how to use technology, then now its very easy to get the local city bus routes with their service numbers and time tables. 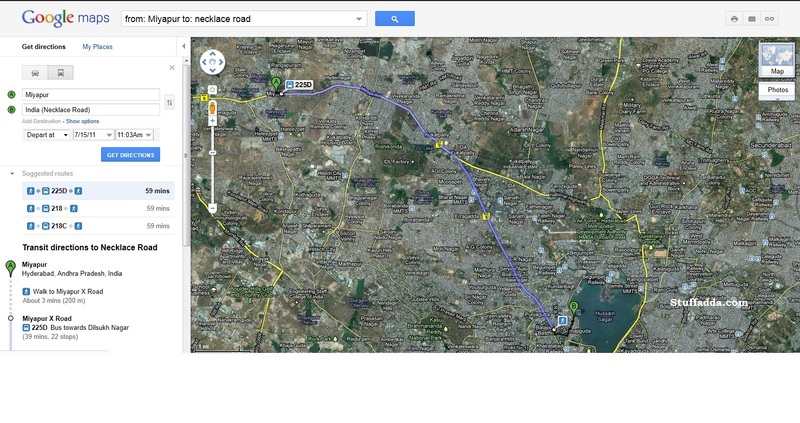 Today Google announced its Google Transit service to Hyderabad and Chennai. Just you need a computer with internet or a mobile with GPRS/3G. So you can get the information while you are on go. Point your browser to http://www.google.com/transit , just enter your source and destination with time of travel. It will display the route on a map with bus numbers and time taken to travel. With this service, Google has mapped 446 APSRTC bus routes criss-crossing Hyderabad, with plans afoot to keep adding other modes of public transport, a Google spokesperson said. "We work through tie-ups with local transportation authorities in various cities. The entire data on Hyderabad's bus services, which are run by APSRTC, was collected and as we go along, we will keep adding various modes of transport like we did in Mumbai and Delhi where transit services of local trains and metro rail are also mapped along with bus services," the spokesperson explained. Google first unveiled its Transit services in India in the middle of 2010 and currently seven cities, including Hyderabad, Delhi, Mumbai, Bangalore, Pune, Chennai and Ahmedabad, have their public transport mapped on it. Globally, the services are available in 447 cities. 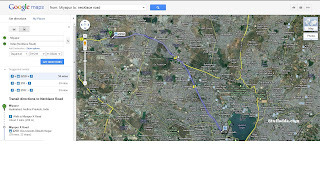 Tags: Google Transit, India, Hyderabad, Chennai, Google transit link, What is Google transit, Hyderabad, Local city bus information, Timetable, routes, Google maps, APSRTC city bus routes, Timetables.